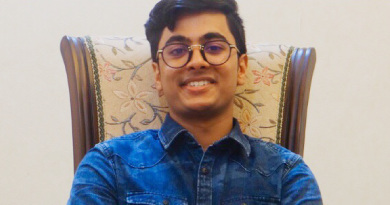 About the Author: Shivansh Soni is a student of O.P. Jindal University, Bhopal. He shares how he secured an internship despite being a fresher with no work experience. I was eager to gain experience in the corporate world so, after I completed my first semester, I began applying to internships at various start-ups. Throughout the interviews that I gave, I observed that the companies were looking for freshers with experience, which seemed to be an odd combination. While I was on the lookout for internships, I came to know about Internshala through my college’s placement cell and applied to a few internships available on the platform. I got shortlisted by a couple of companies like Nocializer and Party Scenes. I received a call from an employee of Nocializer who confirmed the information that I gave while applying for this internship and set up a telephonic interview with Mr Sanju Nair, the founder of Nocializer. At the scheduled time, Mr Nair called me and asked me to give a brief self-introduction. He then explained what my tasks would be if I were hired and inquired about my social media marketing skills. I had no prior experience in it; I mentioned that I had a few friends who could help me with the tasks. He also asked me why I started applying to internships at such a young age, and we discussed the number of hours I would be able to put in. Soon, I received an email stating that I was selected by Nocializer, which is a social networking app that helps people socialize with each other, as a sales and marketing intern. My responsibility as an intern was to obtain 300 sign-ups on their app within a month. After getting the sign-ups, I was required to send an Excel report including the email ids of the people who signed up through me for keeping a track. To ensure that they made successful sign-ups, I asked them to share a screenshot with me along with their email ids. I was able to complete my task of getting 300 sign-ups within a week. Mr Nair himself congratulated me on this and extended me the opportunity to introduce business-to-business commerce in India for Nocializer through Nocializer Biz. The idea behind Nocializer Biz was to communicate with people near the business location and convert them into customers. As a part of the Nocializer Biz team, I had to convince a few salons, cafes, convenience stores, and restaurants to advertise using our app, which would help them find new customers. I first approached a Jawed Habib salon and persuaded them for using our platform for their advertisement needs, but by their response, it was quite clear that they weren’t interested. Then, I went to Kafe Kulture, a local cafe which was a hotspot among teenagers. I explained the importance of social media marketing, and how the Nocializer app would help them get more customers for free. I successfully got their permission. I realized that I should target places which are popular among teenagers and have owners who might be open to the idea of social media marketing. By the end of the week, I was able to get 3 cafes, 2 salons, and 2 convenience stores on board. In the last week of my internship, I gave a brief presentation about Nocializer’s competitors in the market and with that, my stint at Nocializer was officially over. I was extremely happy to have done this internship because I learnt to communicate in a corporate setting, gained the confidence to put forth my views and lead presentations, and became persuasive. Are you a fellow fresher lacking experience? Don’t let that hold you back anymore. Apply to exciting new internships here and take your first step into the professional world now! Nice story Mr. Soni. It is so inspiring for the freshers who are new in this background. Keep sharing your ideas and story just like that. Great! You started very early. Thanku for sharing your experience with us. superb . An inspiring story which inspire us a lot. Great post, it inspired me a lot to do something different. Good Luck! Wow! Motivational post but I think you have started early. Happiness radiates like the fragrance from a flower and draws all good things towards you. Thank you so much for Sharing.